Discussion in 'Sports and Recreation' started by Bobby J, Nov 17, 2007. Wow! I think I am in surfer paradise! Yesterday I surfed a break called Trestles and Today the Huntington pier. Both were a lot of funn. We caught Trestles when it was not crowded. The people are really cool and have not caught the "local only" vibe one time. I have been welcomed at both spots. The swell is not that big yet but is supposed to start filling in on Sunday. This is the best birthday present ever! Thanks Bev! Where are you? That is a super cool pic!!! Oh, and Happy Birthday!!! WoW! Looks grayt! What's the temp like? We want pics of the big swells from today! You do have the best wife ever! OMG, your wife sent you to soCal to surf for your birthday! What a wife. Those locals sound too. Wow, what a special birthday! Looks like you're having a grayt one! Happy birthday, Bobby J! Thanks everyone! I am in SoCal. I do have the very best wife in the world . Thanks again Bev! I will post more pics later. Must surf now! BJ, Your wife rocks! Will she send me to Vegas for my birthday?? How about Utah in February? Let me know. Something HOT in the cold cold pacific....gotta love that! He is on the OC. Looks like a fun time. Great Birthday present. Have any of the locals mentioned the Toll Road project, have friends that live in that area and it has come up before in conversation. 30A home of glorious sunsets. My wife does rock and yes she would send you to Vegas. Read the latest article I wrote about her in the 30A review! She is a very giving person... BTW, why do you insist on calling me BJ? Your wife does rock.....and I'm going to Vegas with her! Wait....she can join us in about three weeks. We have tickets to Celine Dion's final performance.....I'm sure FFF would give them up to her. :roll: She calls you BJ 'cause that is your name. Sorry BJ, I will call you BOBBY J from now on. The end of the trip draws near and the surf today was so much funn. Yesterday was a survival game and today was just clean chest to head high epic surf! I love it! It may be time to talk with Bev about living here part time ????? What a birthday! Thats awesome I'm glad you had a good time.I cant wait till my first trip to the east coast. This is the West Coast. The East Coast? You need to hop in your truck and go! Swell is just starting to show today. is that upper or Lower ? 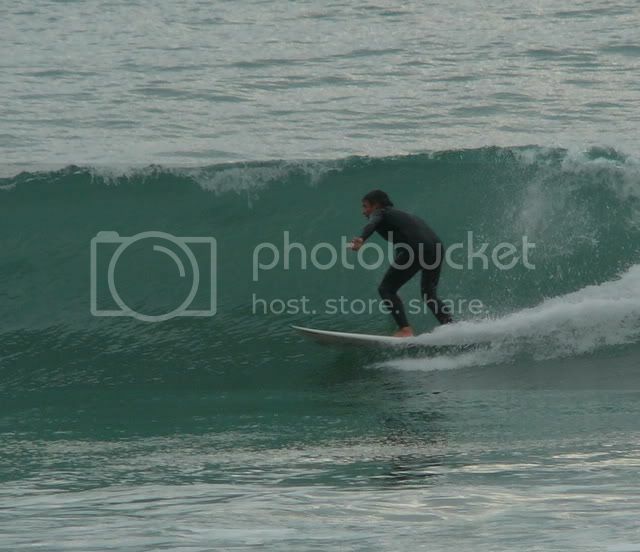 head down to Swarmy's beach for a killer point break and get that long board out for a long long ride! and say hello to Herbie F. he owns a shop down in Oceanside!